SNG with its efficient techonology Eminent Designs adore its Product Variety with the beautiful products for its customers for their homes to re-design it again to its best for an Impressive Attire. 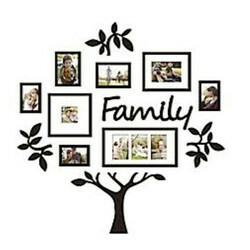 We are engaged in offering Tree Collage Photo Frame. We are a emerging Supplier of Tree Shaped Photo Frame. 1. 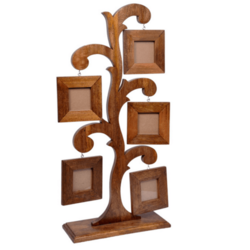 Silver Tree Style Photo Frame is made up of good quality teak wood or sag wood and is covered with Silver Sheet. 2. Silver Tree Style Photo Frame is polished and has been coated with lacquer to preserve its shine. 3. Silver Tree Style Photo Frame is covered with 99% pure silver sheet. We are offering Metal Photo Frames and also offering Tree Shaped Photo Frames. PERFECT GIFT FOR ANY OCCASION. MADE WITH UNISUB SUBLIMATION WOOD WITH VALVET BACK. GLOSS FINISH.FREE SHIPPING TO INDIA. Emerging company offering Tree Shaped Photo Frame.